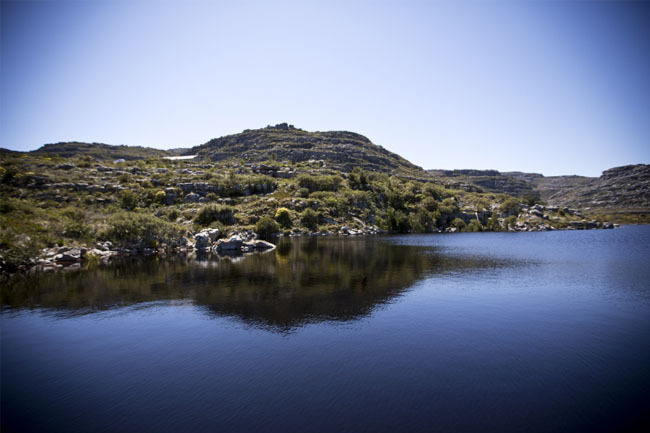 In the face of a very severe drought, the city of Cape Town has a few tricks up its sleeve when talking water management and effective distribution. With a weekly average drop of 1% in the city’s dam levels, it’s important to know that the remaining 10% has been deemed as being ‘mostly unusable’. The city is currently sitting at 25.2% – but it’s not all doom and gloom. A number of emergency supply schemes exist to help alleviate the current water crisis. The Table Mountain Group Aquifer is a small-scale desalination plant, a project undertaken by the City in 2002 and completed in 2007. More specifically, an aquifer is best described as a body of permeable rock that can transmit or contain groundwater. It exists beneath the dams, a facility holding billions of cubic metres in subterranean water storage whereas 400 million metres in storage comes from the dams alone. This is an absolutely sigh of relief for concerned Capetonians, though it’s still imperative to heed City warnings and abide by restrictions. Another channel that’s being seriously considered is a small-scale wastewater reuse plant at the Zandvlei water treatment facility. This R120 million initiative will foresee the production of 10 million litres of safe and clean drinking water per day – pumping it out to the city’s central and southern suburbs. Now 10 million liters of water may sound like a great deal but, in fact, it’s a drop in the proverbial ocean compared to our current daily usage of 741 million liters. These additional measures form a greater part of a safety net that the City of Cape Town has in place to prevent an absolute drought. The fact remains that Cape Town enjoys a Mediterranean-style climate of dry summers and wet winters. Our vegetation is perfectly adapted to these seasons, including the driest and hottest of summers. Now the onus is on us to imitate this natural adaption and preserve what we have for when we most need it.